If you want to you can delete a site. 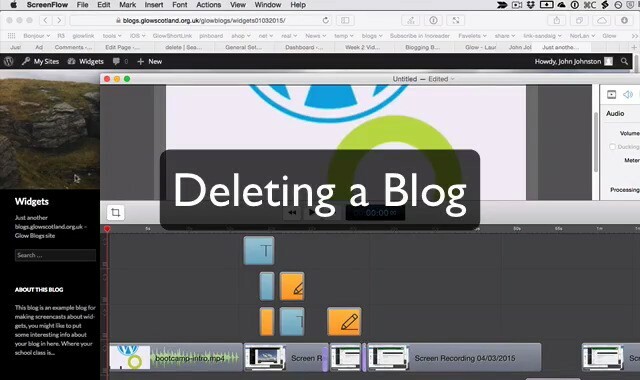 When logged into the blogging service, visit the dashboard of the blog you want to delete. If you do not you will have to set a new email address and confirm that address by replying to a mail that will be automatically sent. Check the Box that says: I’m sure I want to permanently disable my site, and I am aware I can never get it back or use blogs.glowscotland.org.uk/glowblogs/blogname/ again. You will receive an email and need to click the link in that mail to delete the site.